Made from plastic. 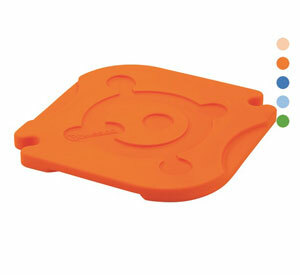 The lid can be used as work surface for various activities. 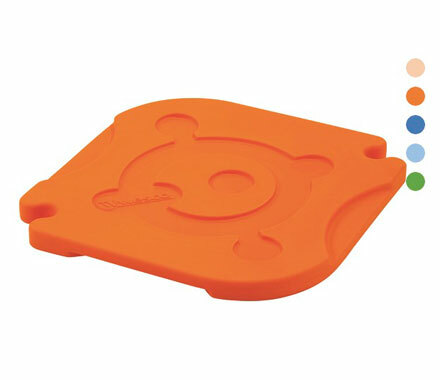 Both sides can be used independently of the tray for either playing with cars (top) or water (bottom).